You may know Full Fat as the company behind the Blocky series of games, which includes titles such as Blocky Football. The company has just released a new title for iOS devices, a racing game that the company claims “everyone” can play. In other words, that means this isn’t one of those racing games where you’ve got a plethora of real-life, collectible cars with realistic graphics, attributes, race tracks, and graphics. This is a no-frills title that’s all about the excitement of drifting and speeding through city streets and other settings. You can also collect new cars in this game, as well as upgrade the ones you already have to make them more powerful and effective. As is the case with a lot of casual titles, the racing here is technically endless. It isn’t as much about being in first-place here in terms of being the first to reach the checkered flag; your objective is to get the highest possible score. Your secondary goals, on the other hand, should be collecting as many cars/racers as possible, as well as collecting more coins and wrenches. 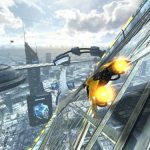 So if you need our assistance in achieving these goals, read on and enjoy these Blocky Racer tips and tricks. 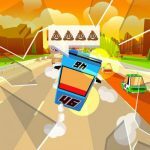 When racing in Blocky Racer, it’s best to attempt a turn while you’re in the inside corner. And if you’re preparing to drift, make sure you’re also in the inside corner before entering the drift. That will allow you to pass the cars on the outside and middle lanes, and improve your chances of taking first place. You want to look closely at how the boxes are moving when the time comes for you to claim your free gift. Pay close attention, and observe where the boxes are going, and where the high-coin box is going to in specific. Opening a box also allows you to double your earnings in the first or get a chance at a second box by watching an ad video. And once you open the second box, you will be asked if you want to watch a second ad video to double those earnings again. In other words, ad videos could help you quadruple your earnings, and that could mean a ton of coins if you were able to get the high-coin box. 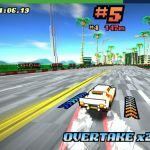 This tip mainly applies to owners of older devices, but those whose phones or tablets are a bit long in the tooth can go to Blocky Racer’s options menu and change the graphic quality. You can choose from low, medium, or high, and if you own an older gadget, low or medium should work just fine and improve the game’s responsiveness. Yes, that’s right – all those ad videos that can help you do a variety of things in the game, including earning more coins as we explained above. You can even use them to turn off the ads for ten minutes. Refusing that offer would STILL pull up a video ad and you won’t get any alternate reward for watching that ad that had come up. It’s pretty much a case of to watch or not to watch a video ad, so watch that video and make sure you’re getting something out of it. You can also watch ad videos to repair your car without having to pay coins, or to double the coins you can earn in races for one hour. 5. What’s The Deal With New Racers? You would be able to get a new racer once you’ve earned yourself at least 100 coins. But since all the racers cost the same amount of coins (100) and because this is a casual game that tests your driving ability mainly, and not your ability to pick the right racer, all of the racers have the same attributes, and have the same upgrade paths. They just look different from each other, as their success in the game, or lack thereof, will all be on you. The only difference is that you’ll have to gather enough wrenches to level them up from the start; racer levels won’t carry over from one racer to another, as all of them start at square one, without any upgrades whatsoever. 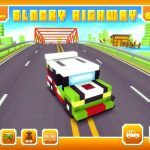 For now, these would be our tips and tricks for Blocky Racer. If you know more hints for this exciting Full Fat game, let us know below in the comment section!